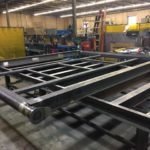 Code Welding & Mfg. 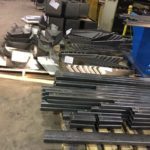 Inc. continues to expand its skill set offerings in a wide variety of materials. 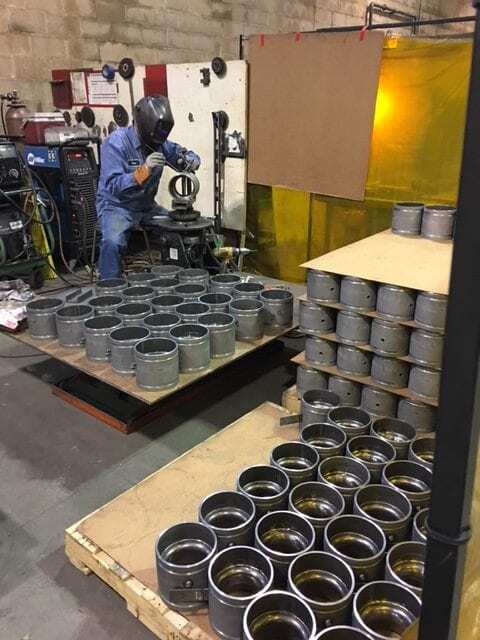 Through training, certifications and high-expectations for ourselves, we continue to offer our customers the quality, service and reliability that they deserve. 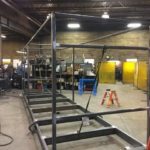 Code Welding & Mfg. 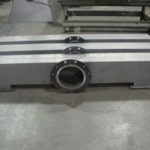 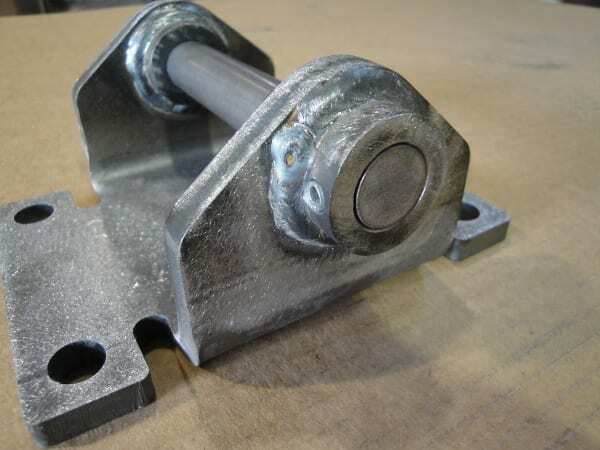 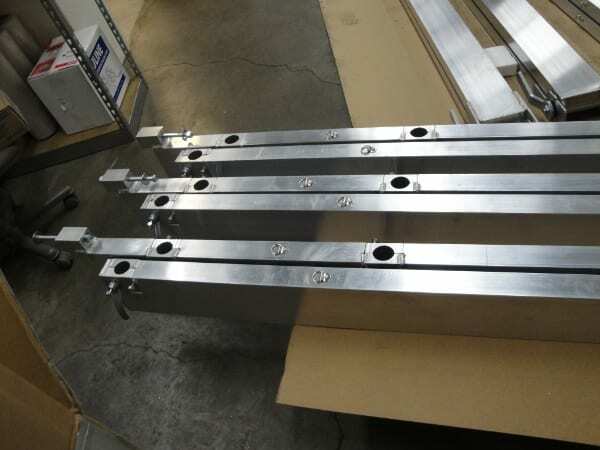 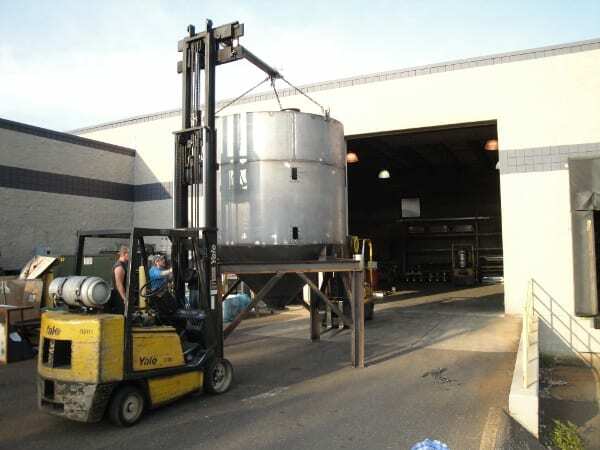 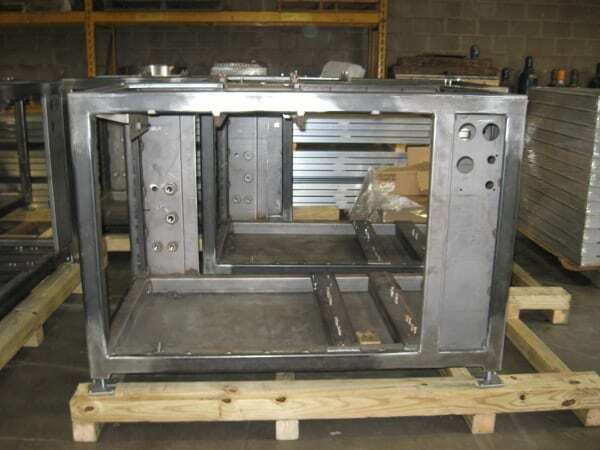 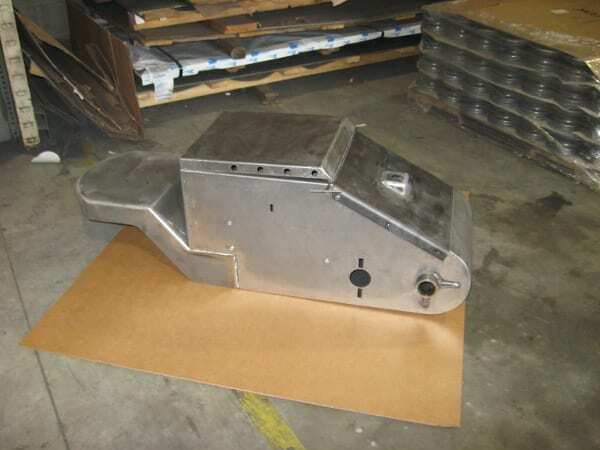 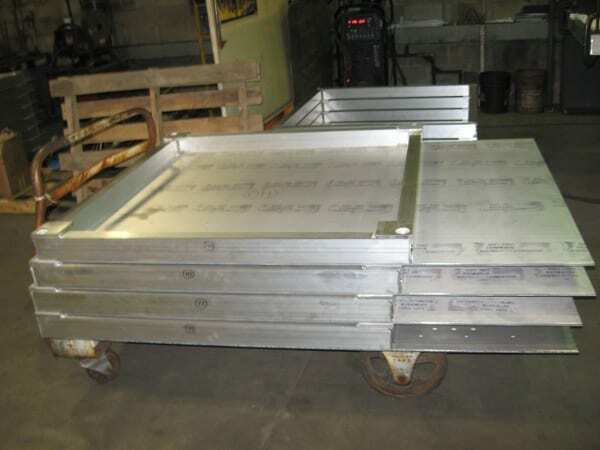 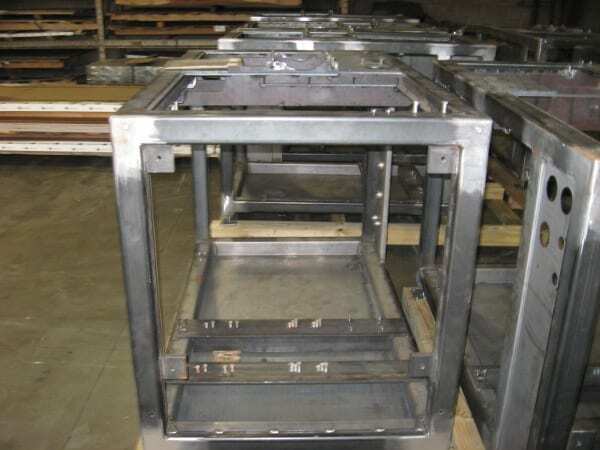 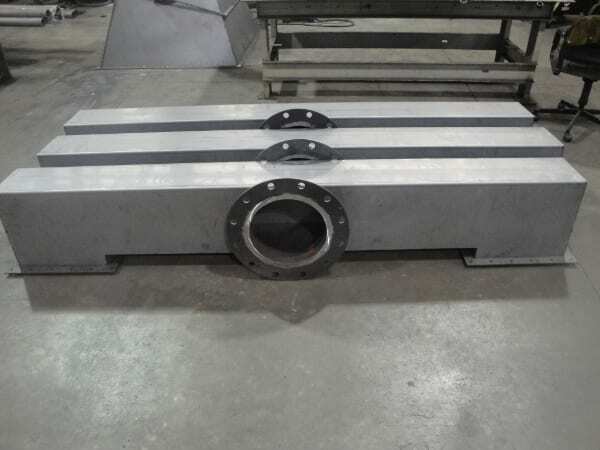 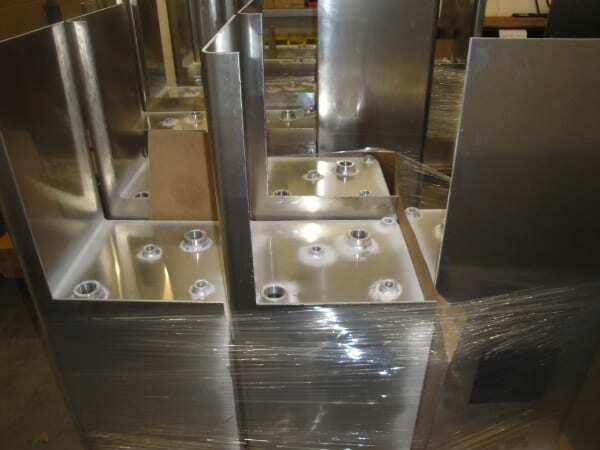 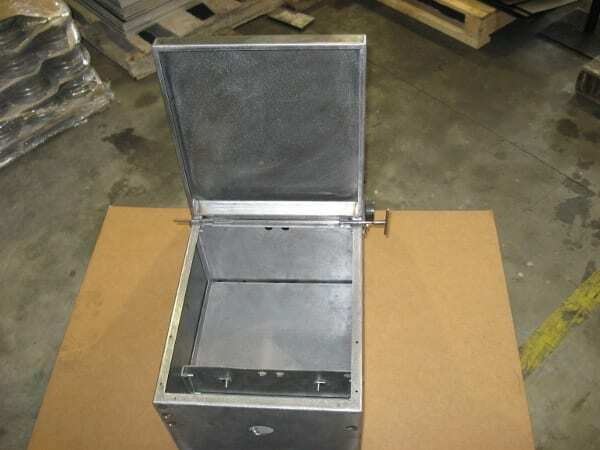 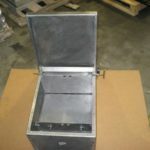 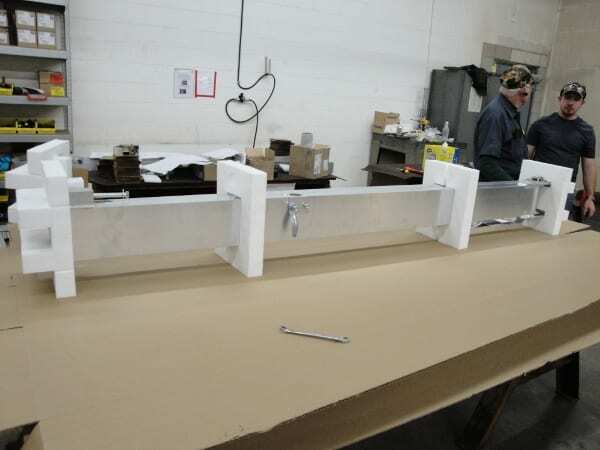 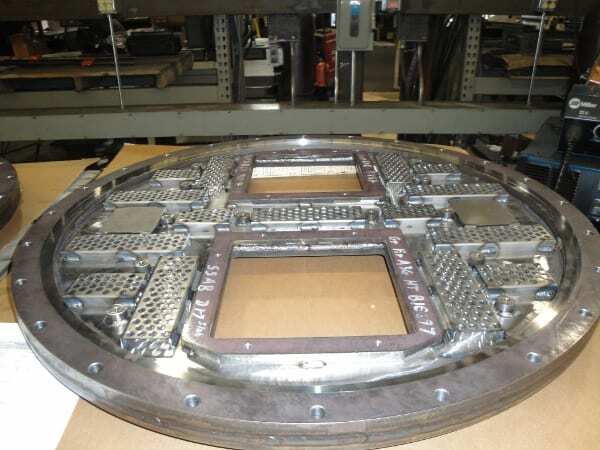 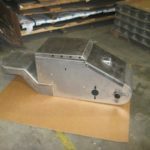 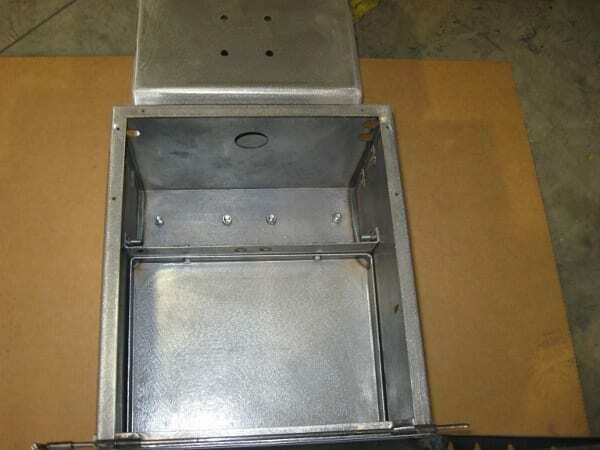 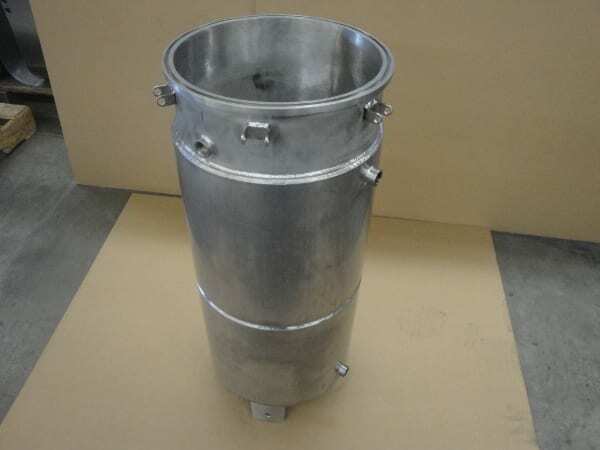 Inc. provides fabricated assemblies in an assembled and packaged state for our customers. 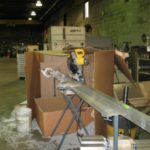 Many of these items are dock to stock, JIT, KanBan or other customer directed means of supply management. 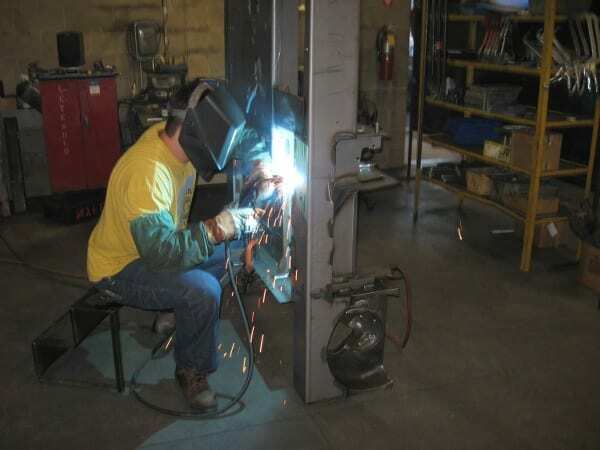 Code Welding is here to provide you with this service and to be an extension of your labor force when required. 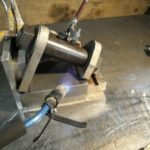 Code Welding & Mfg. 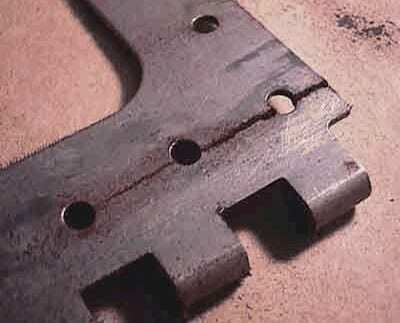 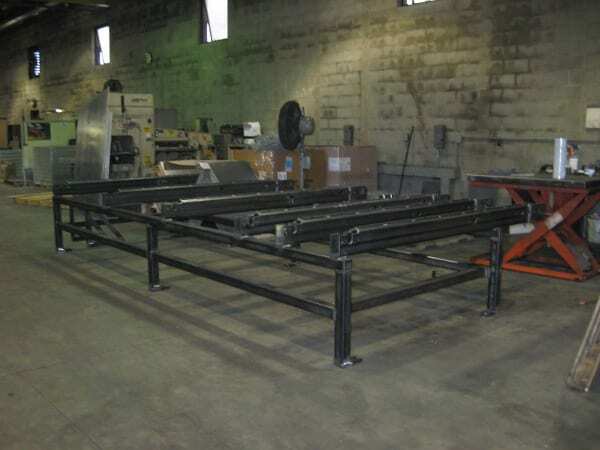 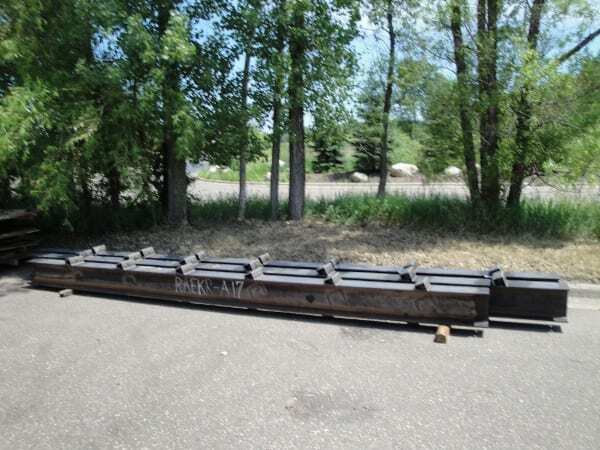 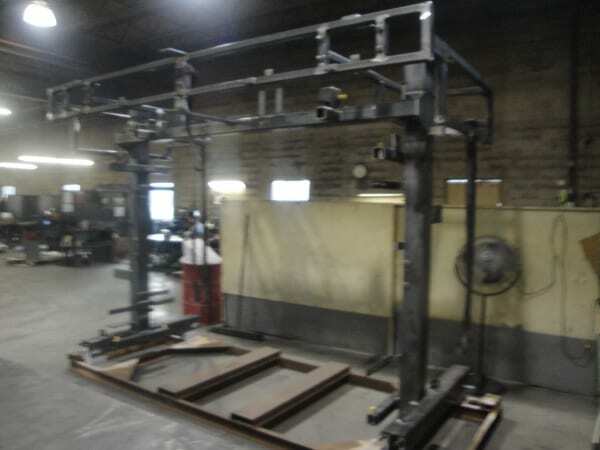 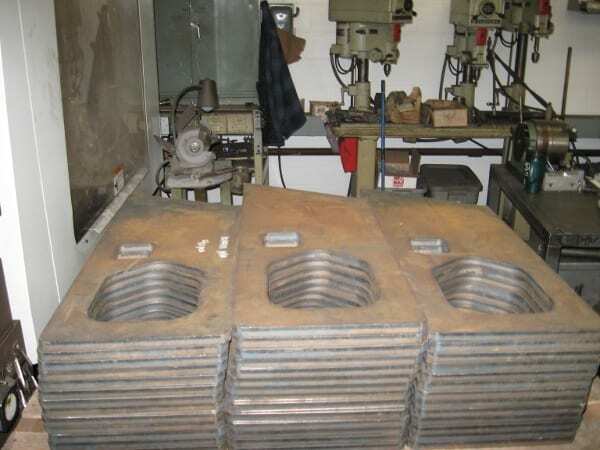 Inc. has been known for quite some time as a premier carbon steel job shop. 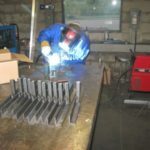 Though we are not limited in our skill sets to mild steel, this is where Code Welding has driven a competency stake in the ground. 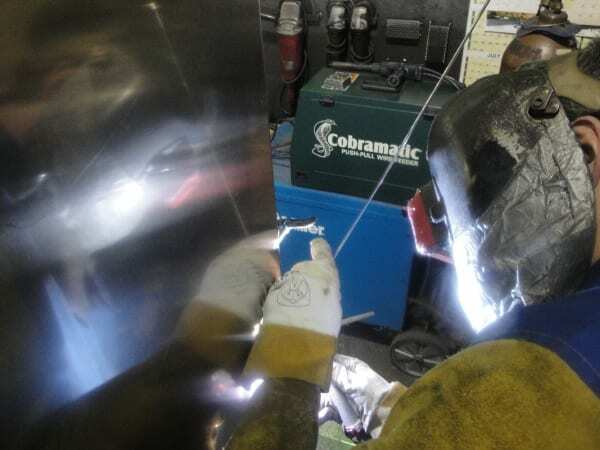 All welders and fabricators at Code Welding are trained to a minimum criteria of AWS D1.1. 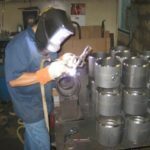 This assures our customers the consistent quality they deserve supported by training and certifications. 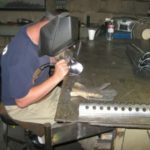 Code Welding & Mfg. 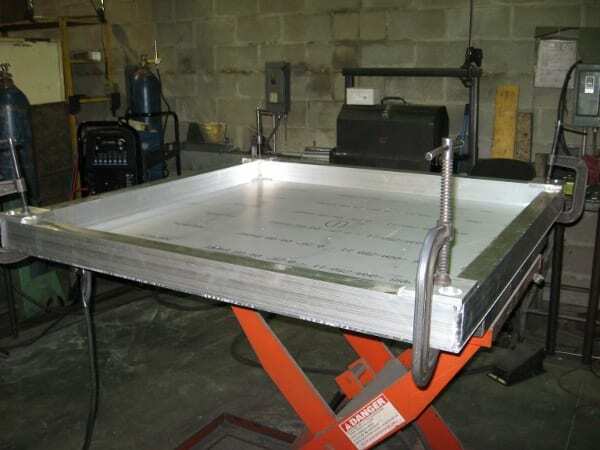 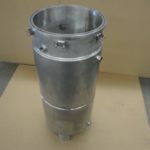 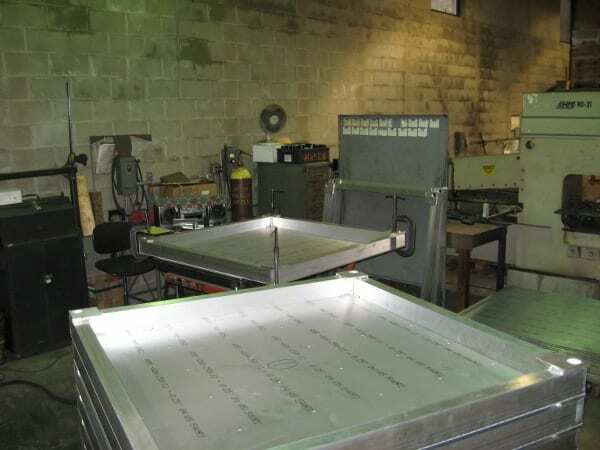 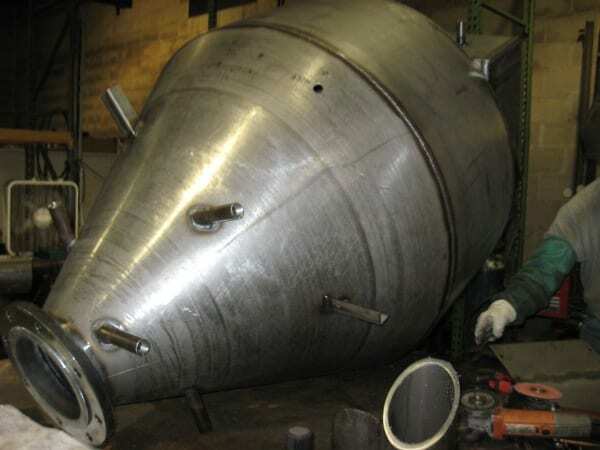 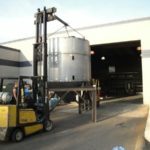 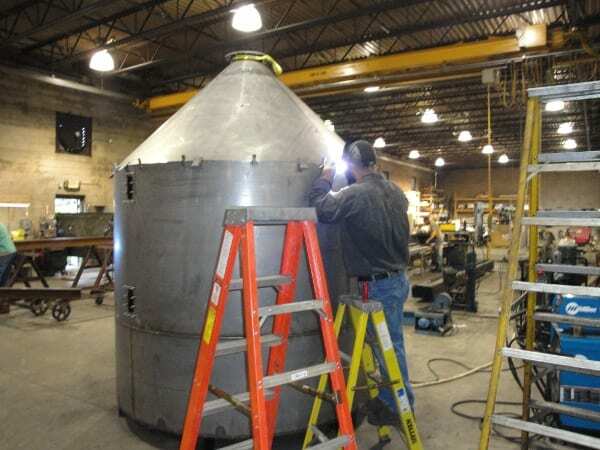 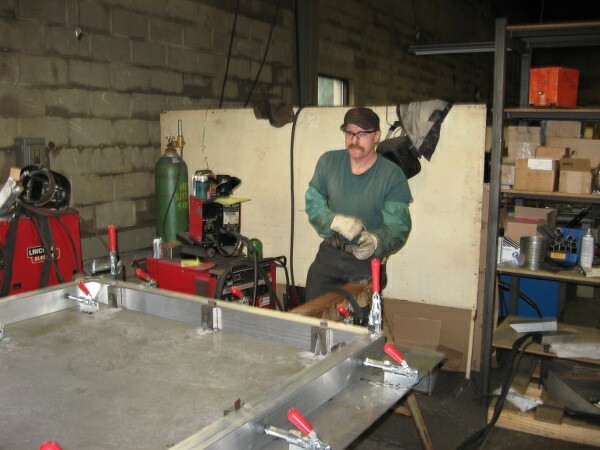 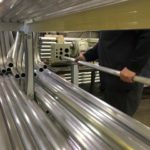 Inc. also performs fabrication in the stainless steel materials. 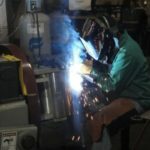 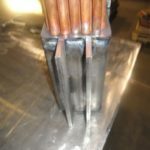 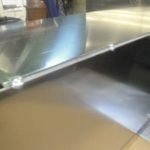 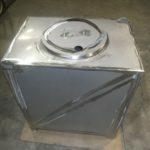 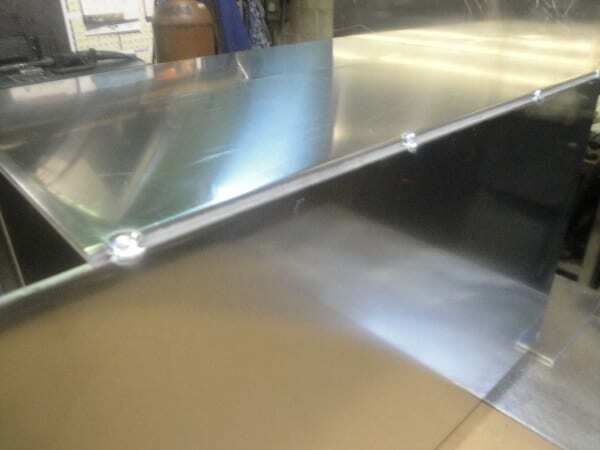 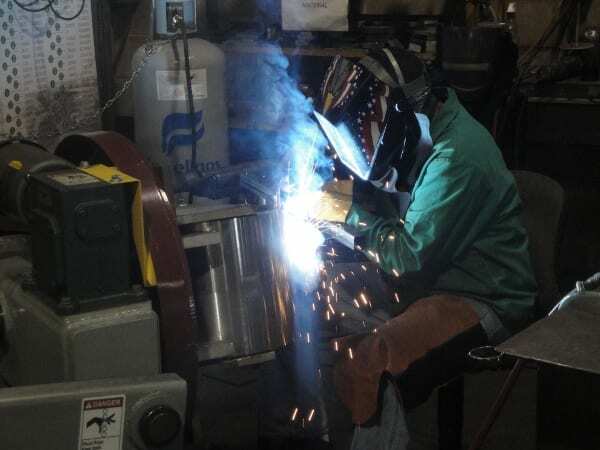 Supported by welder certifications and many years of experience, customers have depended upon Code Welding to deliver their stainless steel requirements. 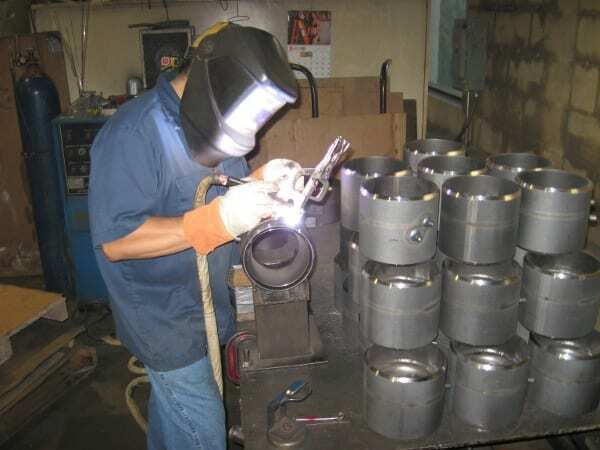 Code Welding & Mfg. 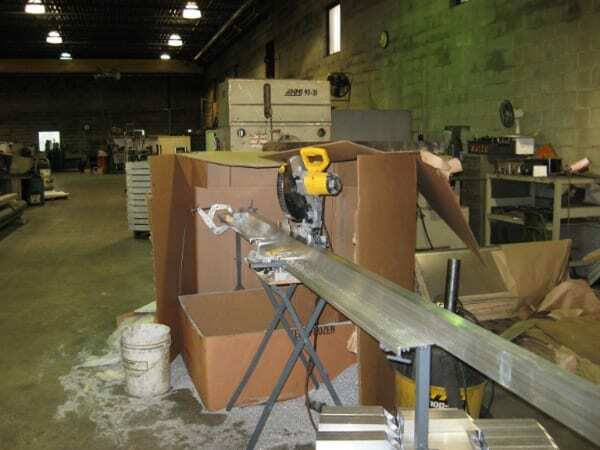 Inc. differentiates itself clearly from the conventional job shop, by working with a significant variety of materials. 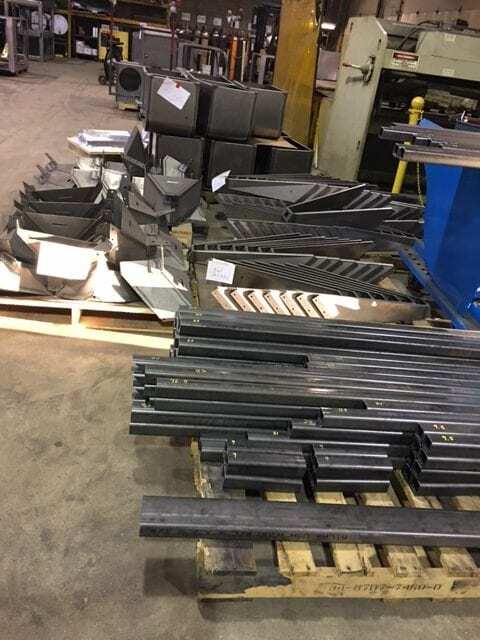 Materials currently being fabricated beyond the common materials are: T1/A514 steel, 8620 steel, 4130 steel, 46100 armor, 12560 armor, pvc and many more. 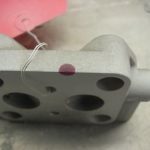 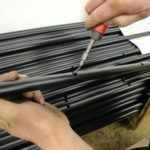 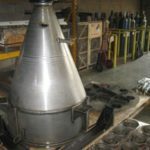 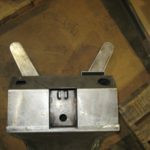 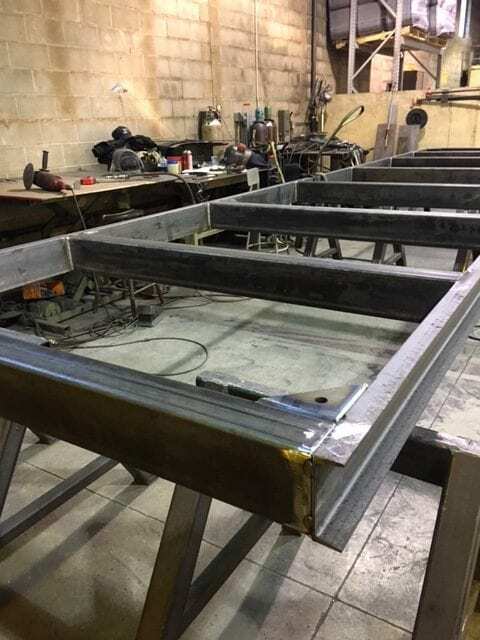 Whether piece parts, weldments or assembled products; Code Welding can provide the procedures and the results to meet your prints requirements. 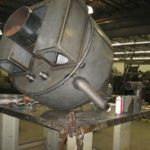 Code Welding & Mfg. 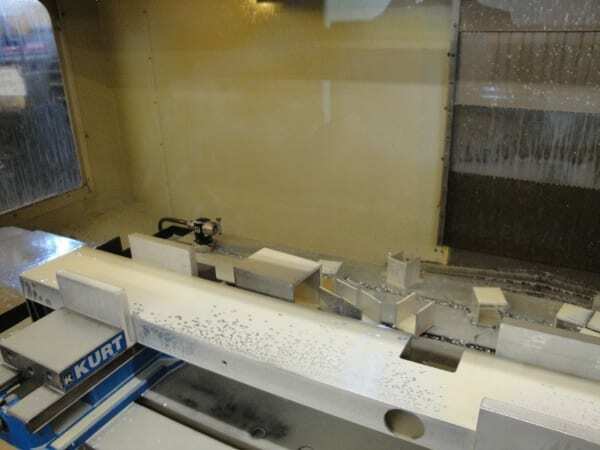 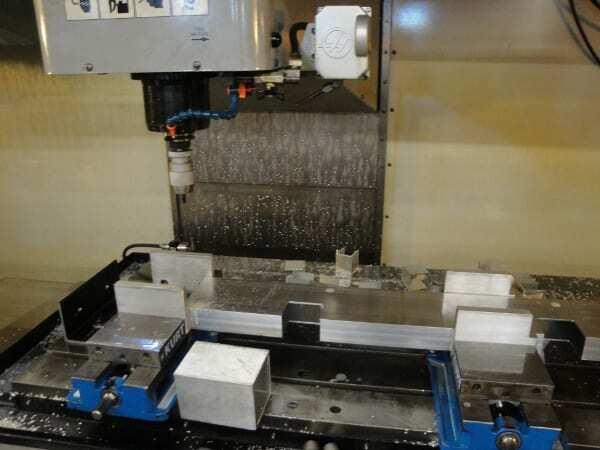 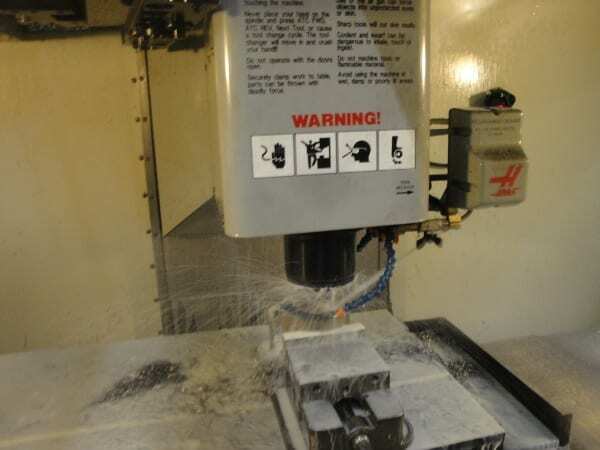 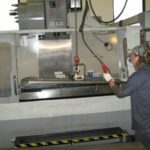 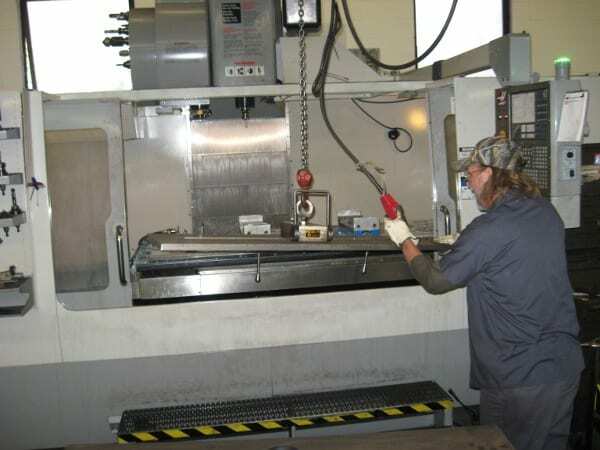 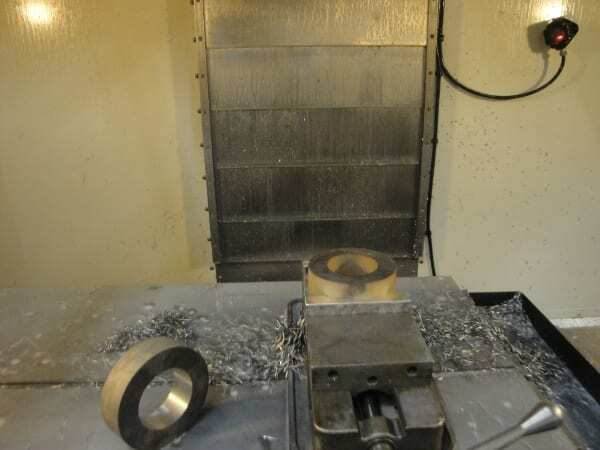 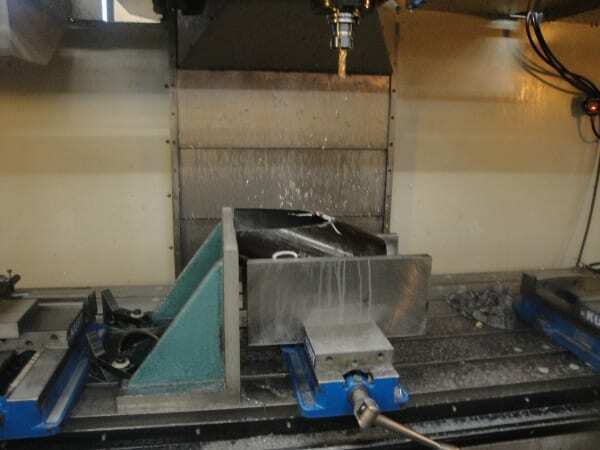 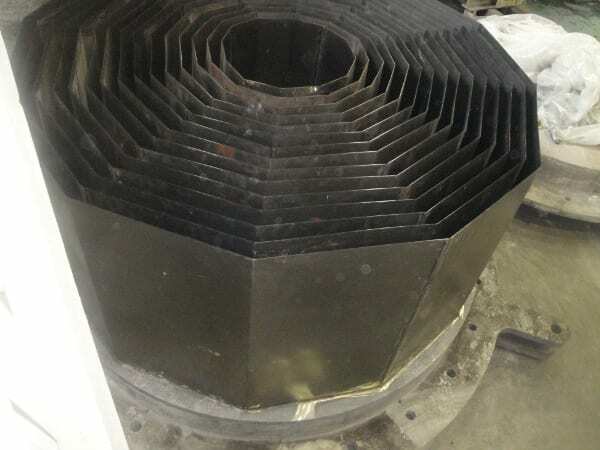 Inc. has rounded our core competencies through our machining services. 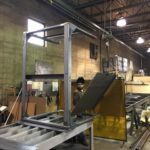 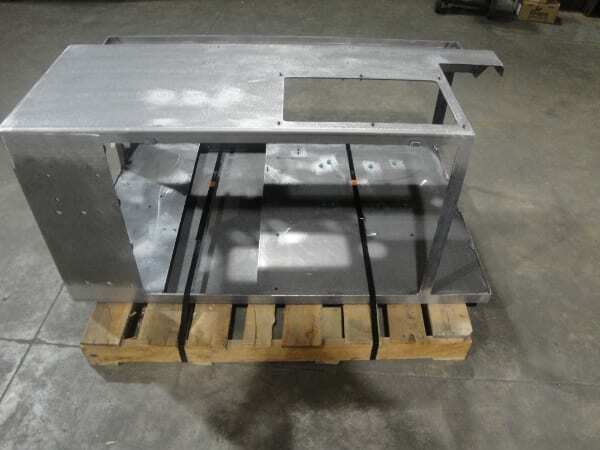 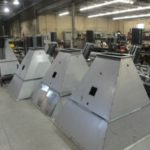 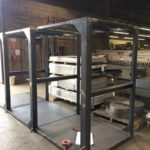 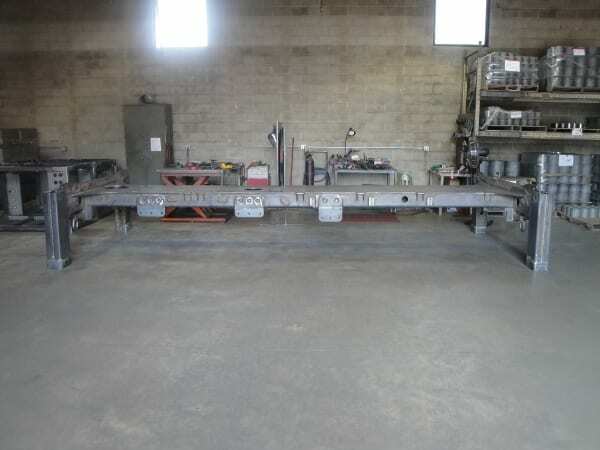 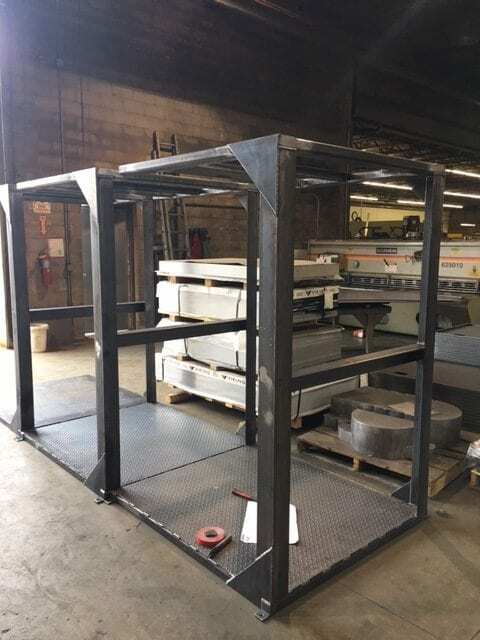 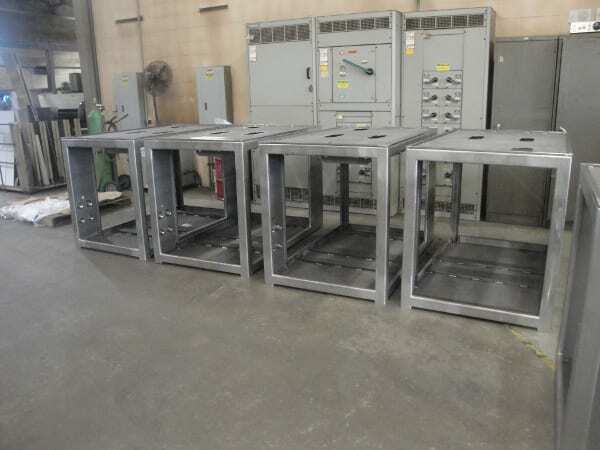 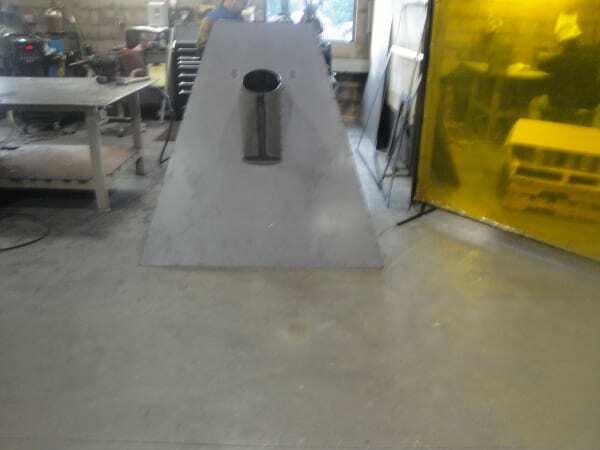 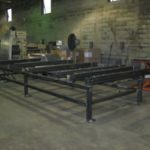 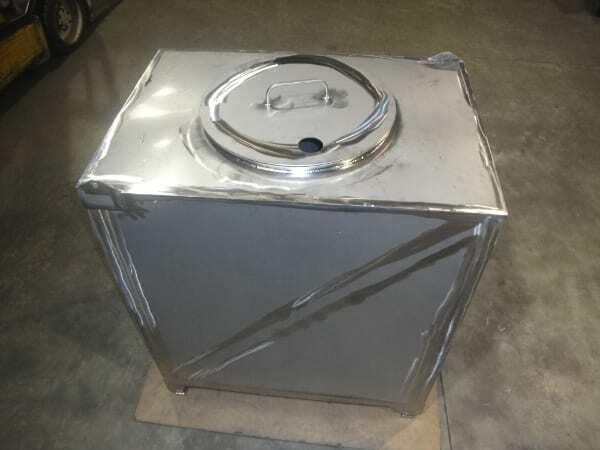 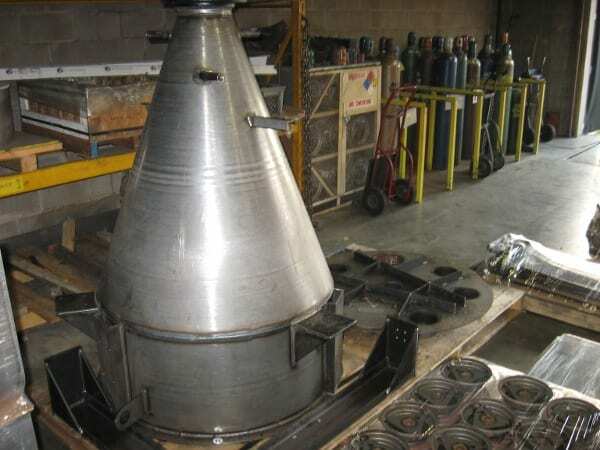 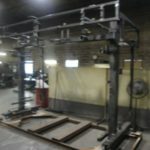 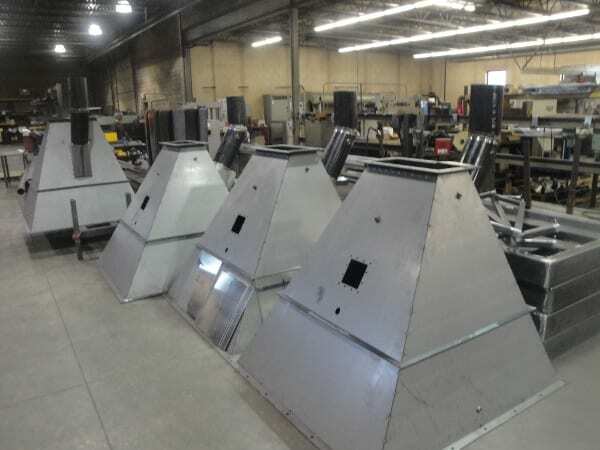 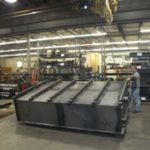 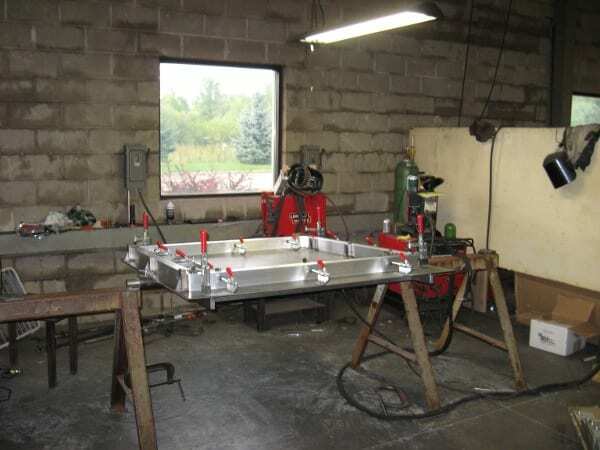 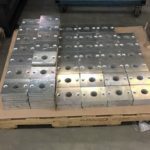 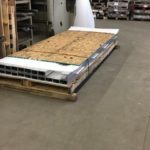 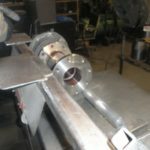 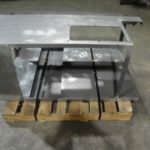 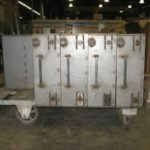 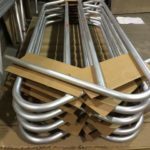 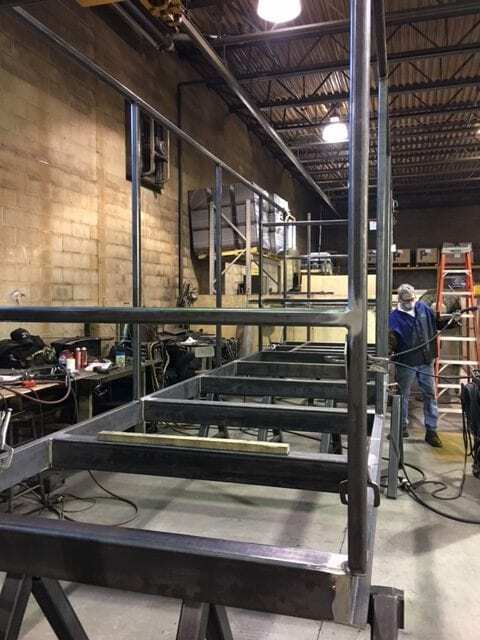 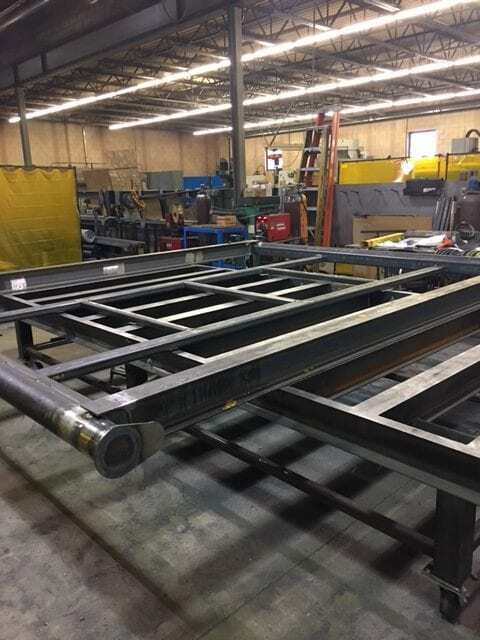 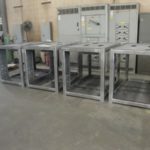 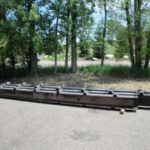 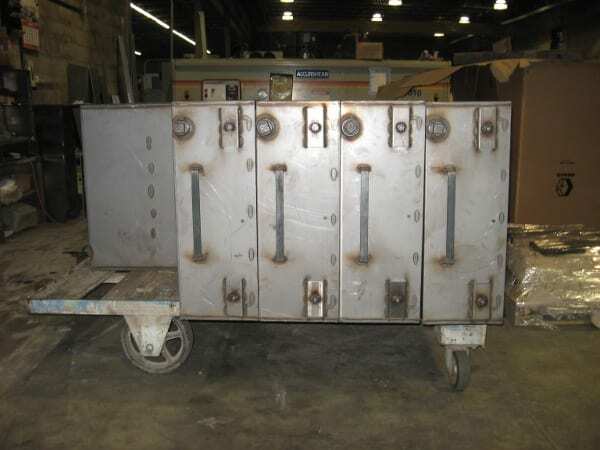 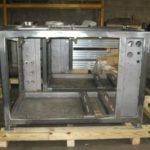 The ability to pre or post machine in regards to welding enhances our ability to offer our customers the opportunity to have complete assemblies provided from our company. 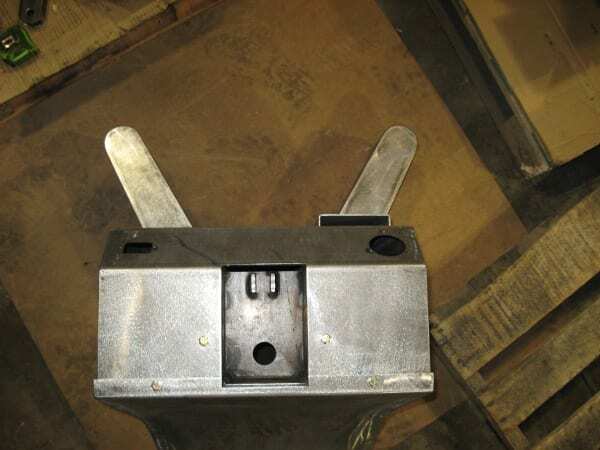 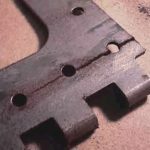 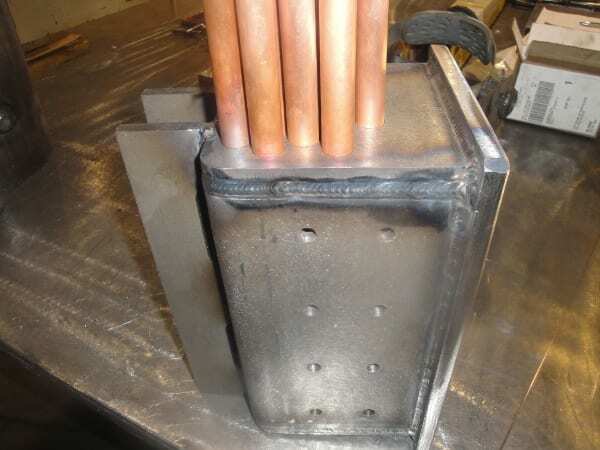 Customers also currently use Code Welding as their machining source for non-welded items. 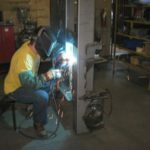 Code Welding & Mfg. 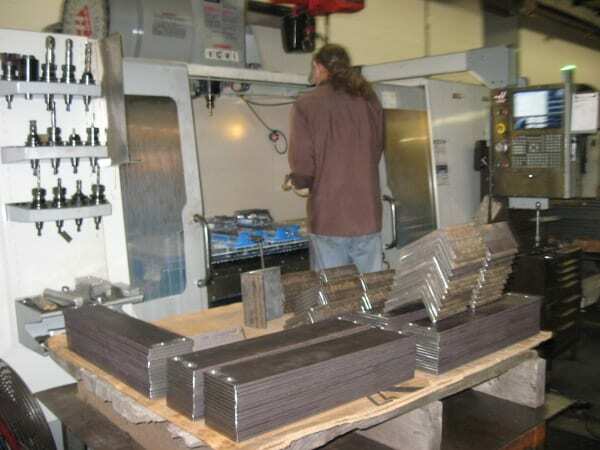 Inc. is very proficient in a variety materials. 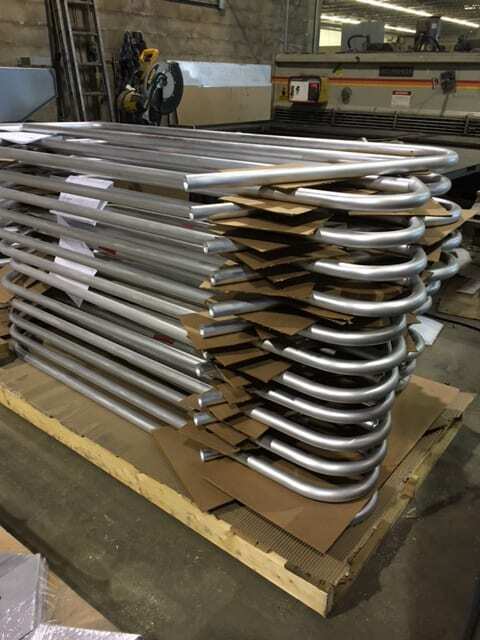 Aluminum is no exception. 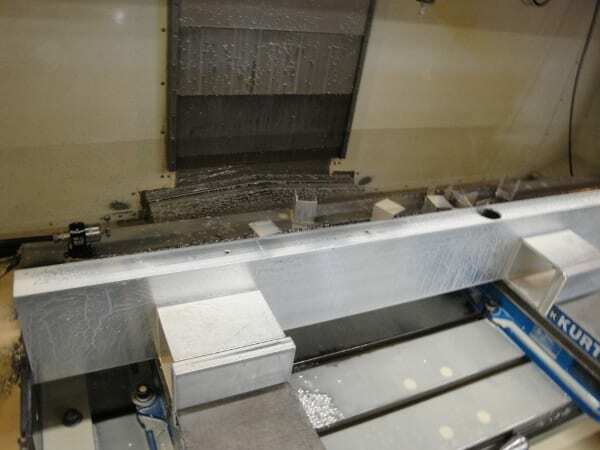 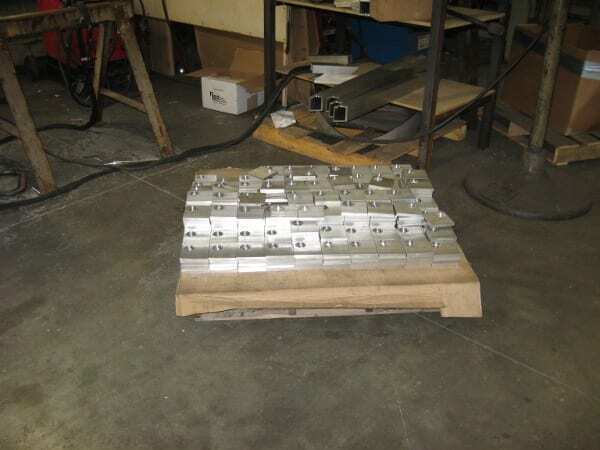 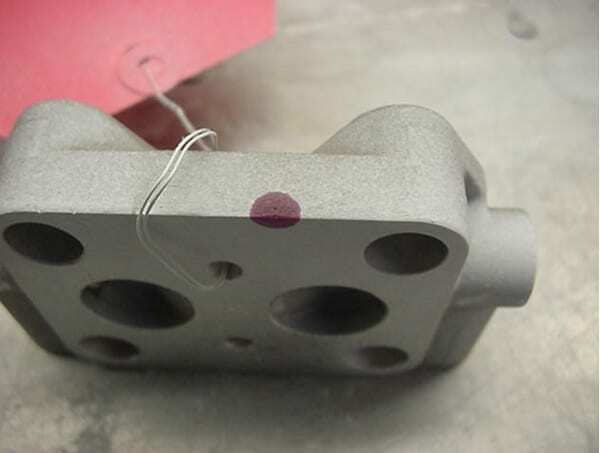 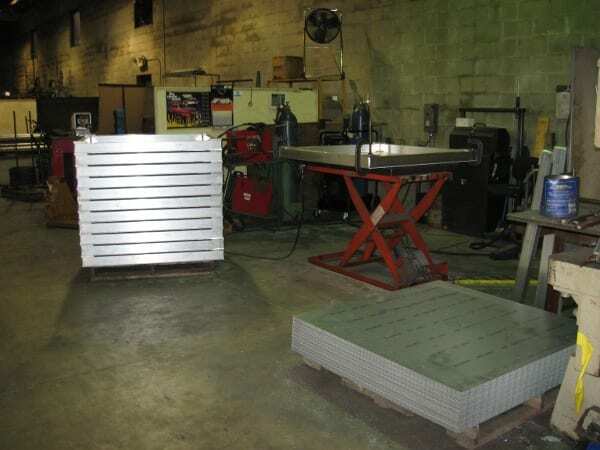 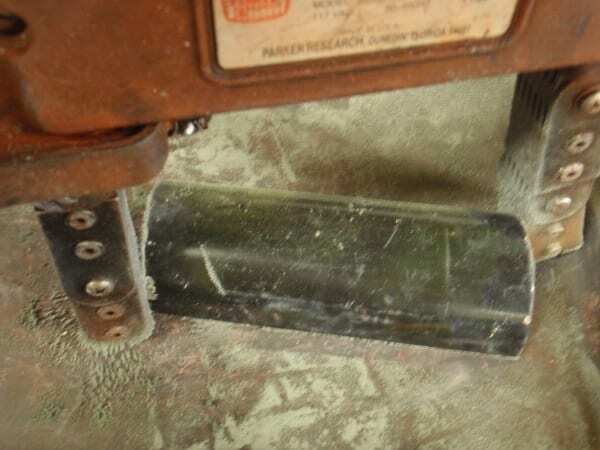 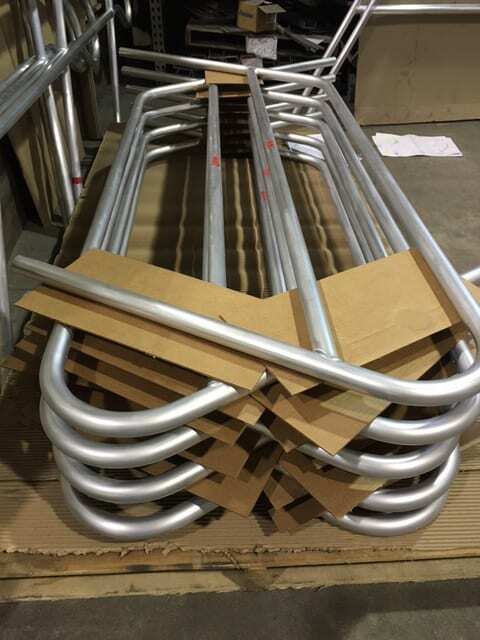 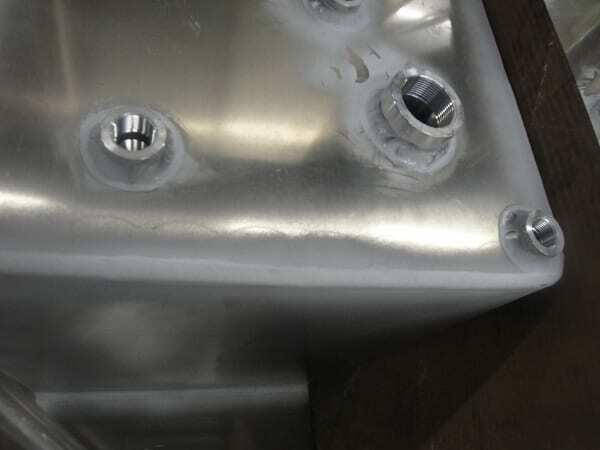 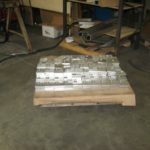 Code can process your grade of aluminum, holding the tolerances you expect. 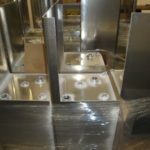 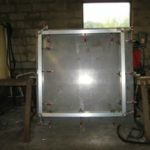 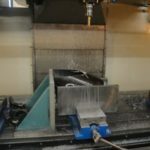 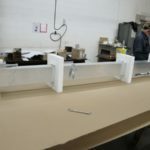 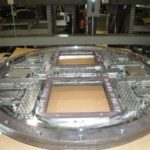 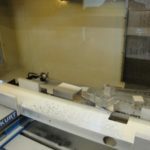 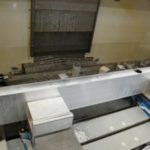 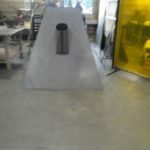 This project is a reflection of several core competencies including: sawing, machining, fixturing, welding, finishing and packaging. 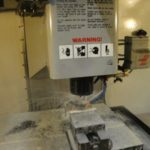 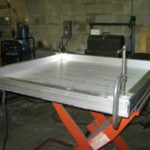 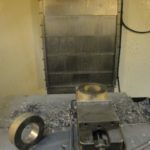 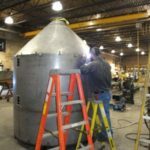 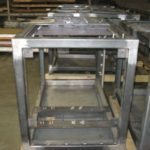 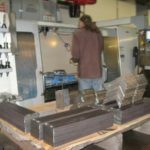 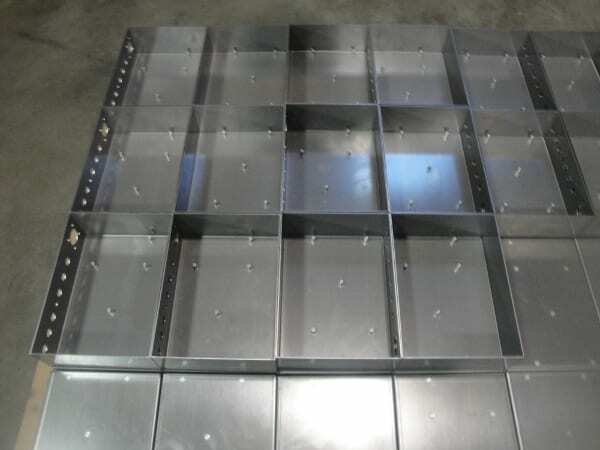 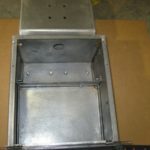 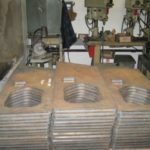 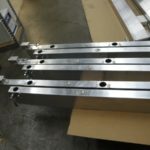 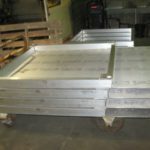 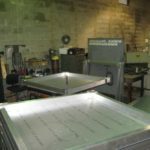 Code Welding & Mfg Inc. understands that fabricated products must ultimately function themselves or in concert with other parts. 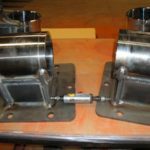 We are highly proficient in our fitment capabilities and view this as a desirable qualification in a supplier. 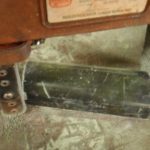 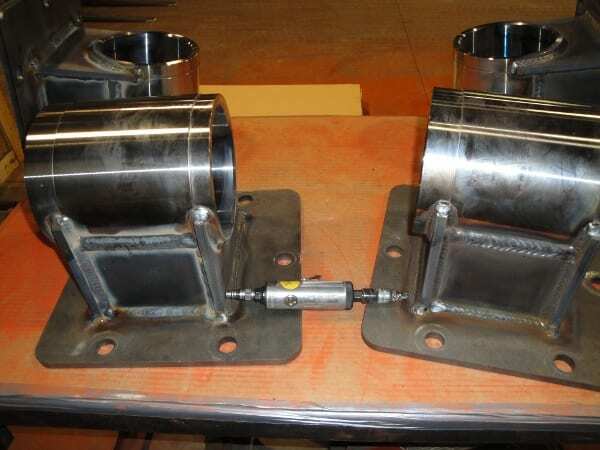 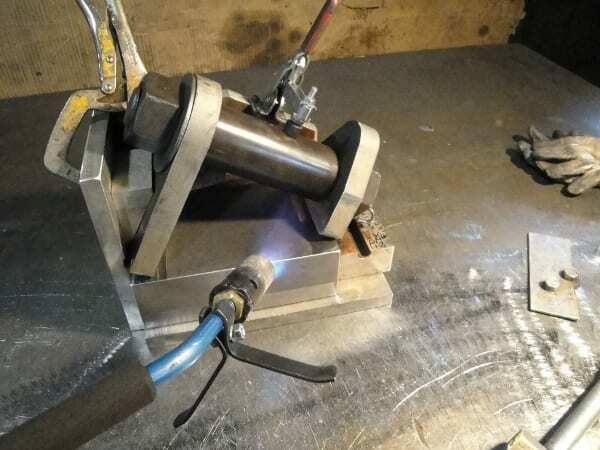 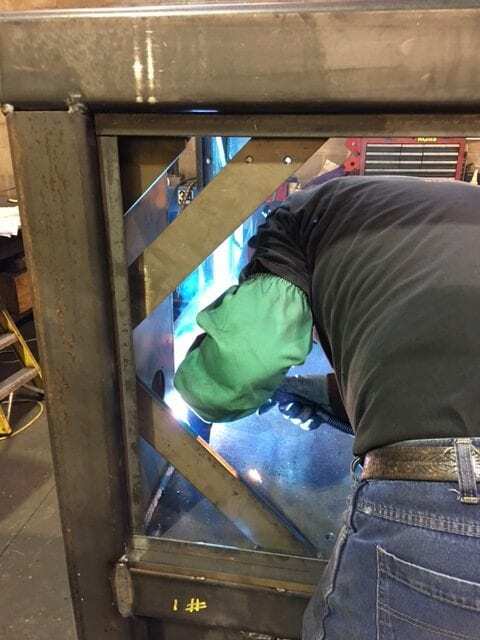 Having a system of parts that we can fit and have function together is another growing area that Code Welding is excelling in on our customers behalf. 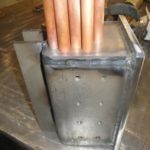 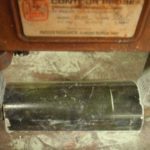 Code Welding and Mfg. 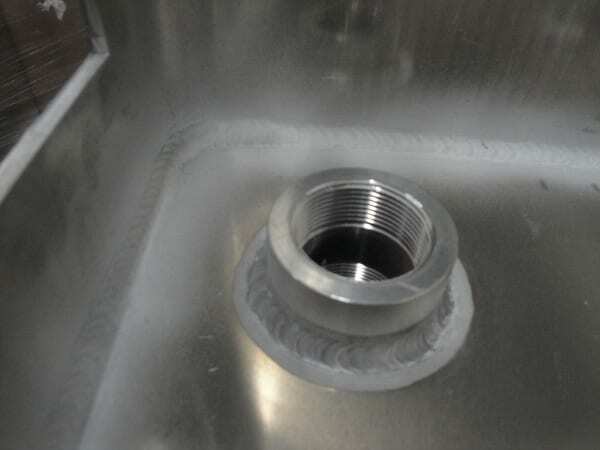 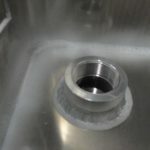 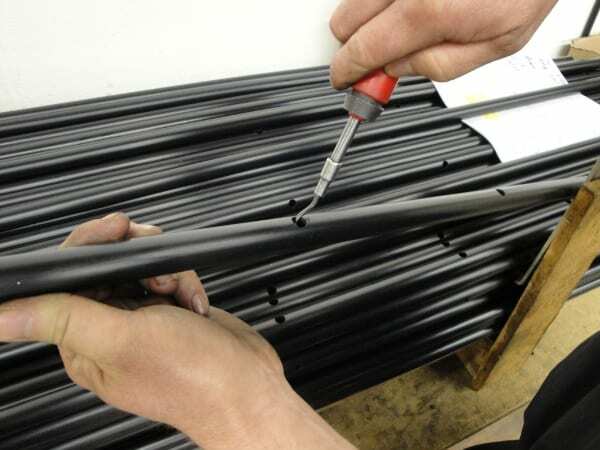 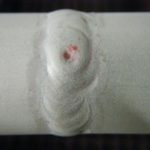 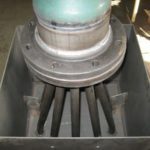 Inc is highly competent in the areas of rolling, fitment and fixturing. 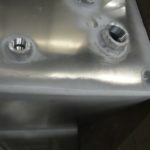 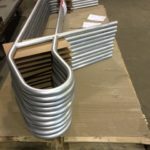 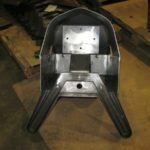 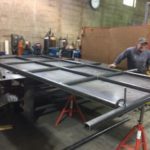 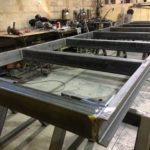 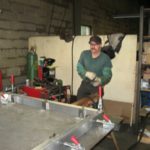 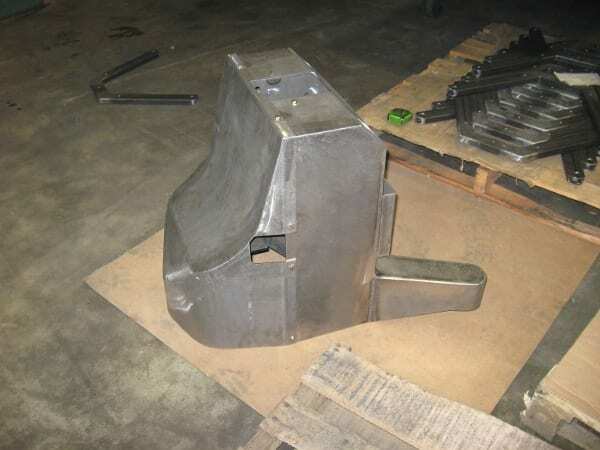 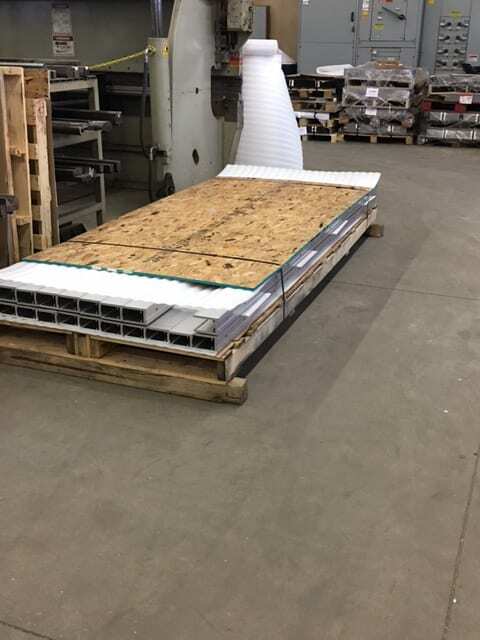 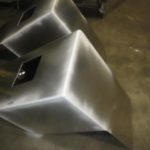 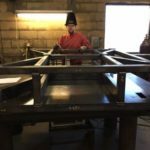 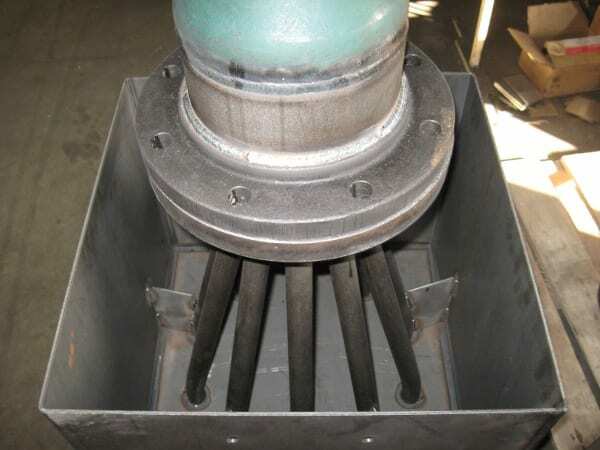 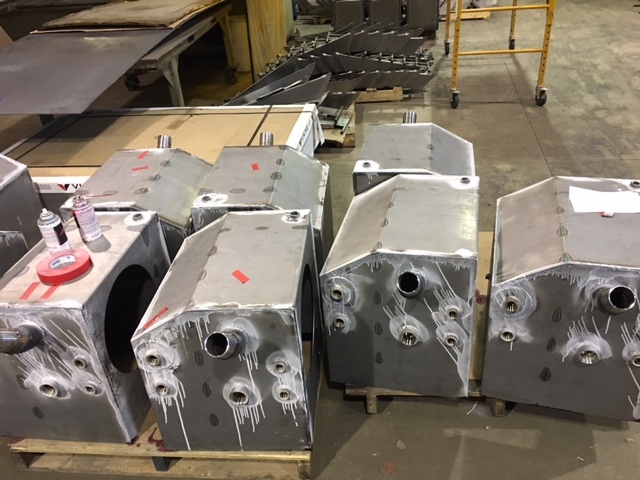 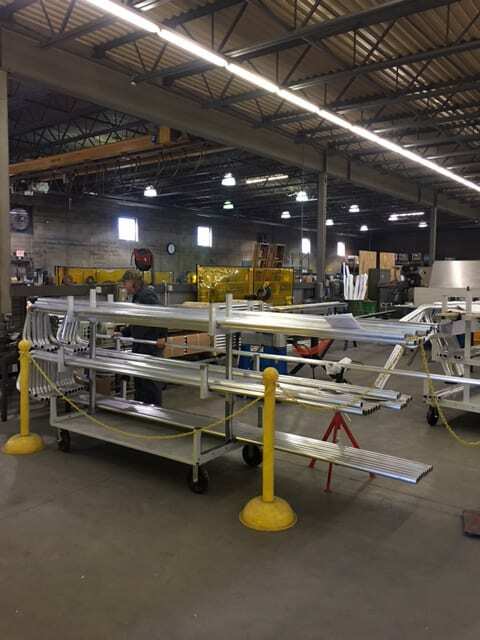 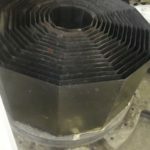 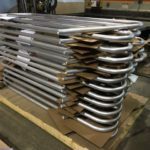 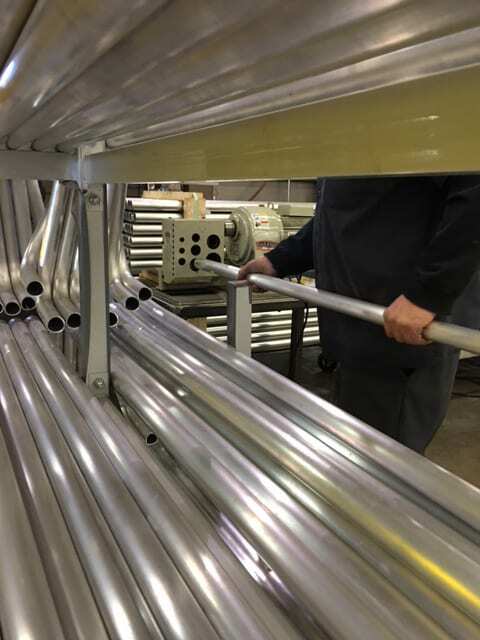 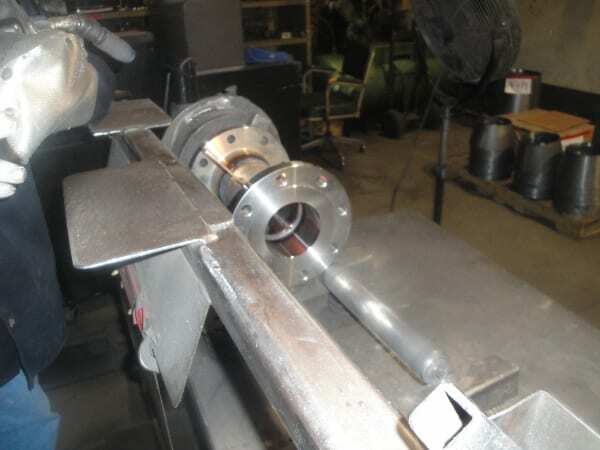 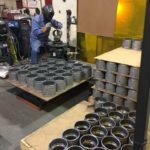 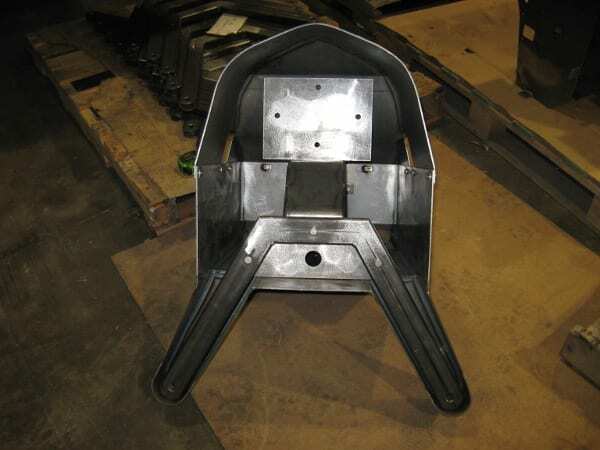 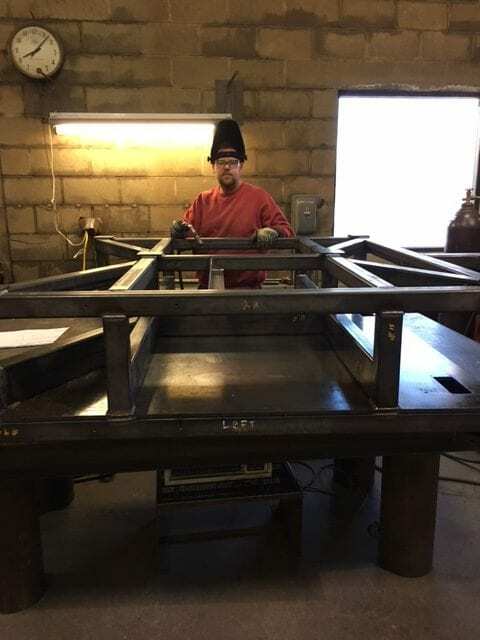 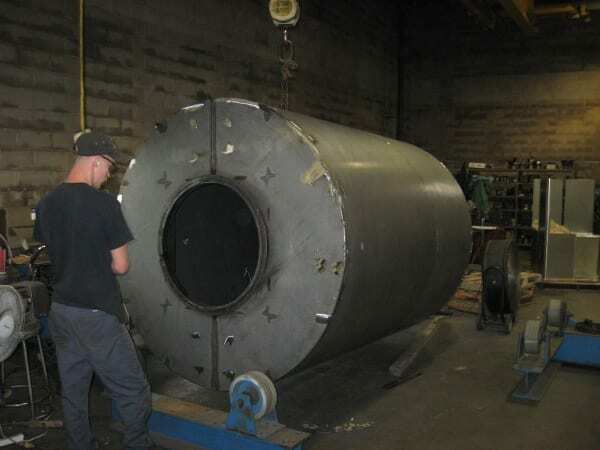 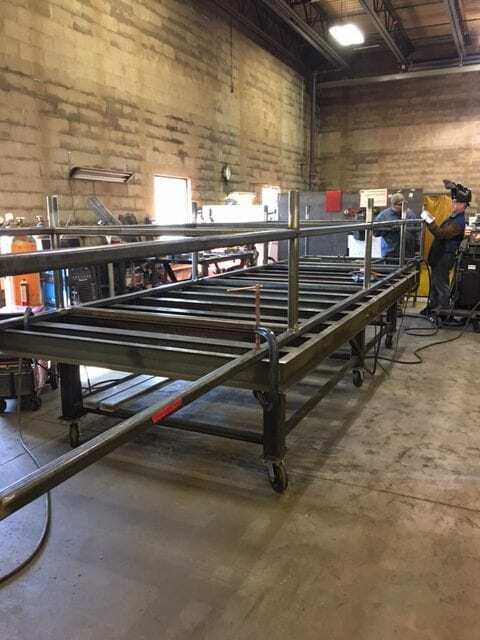 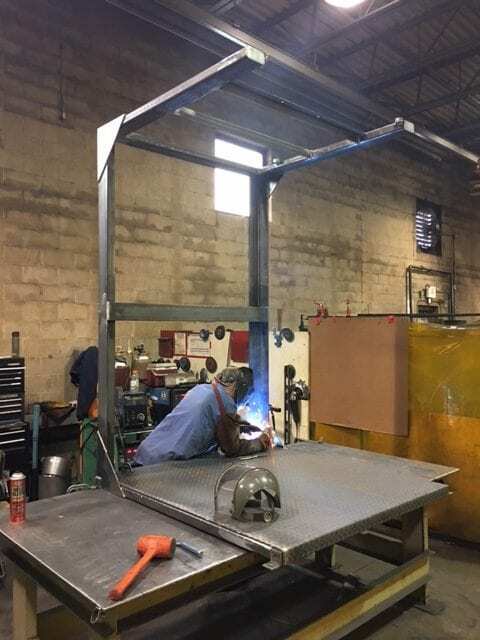 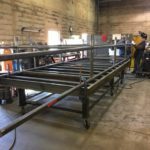 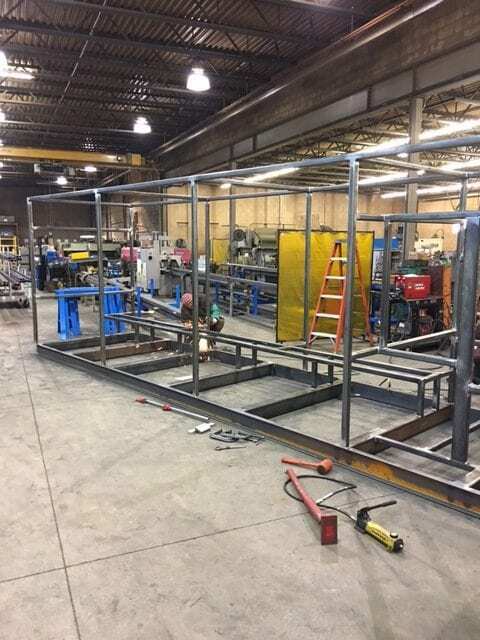 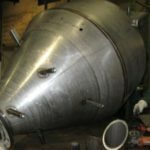 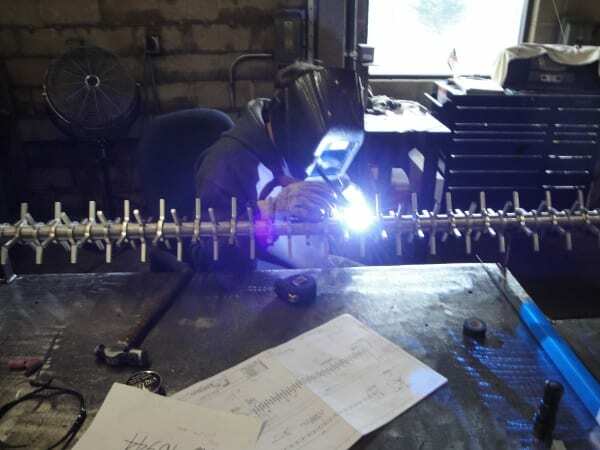 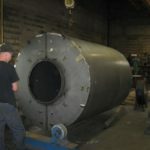 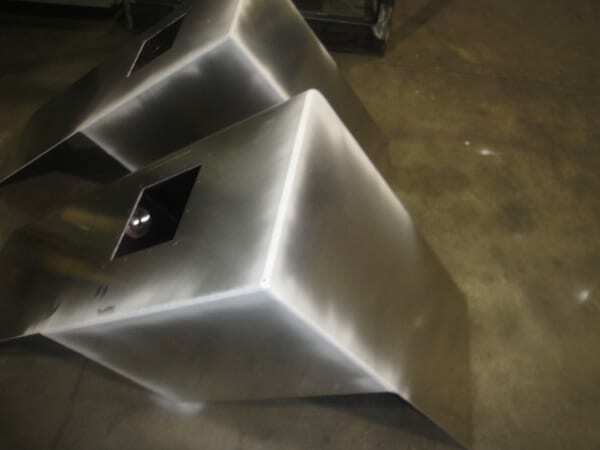 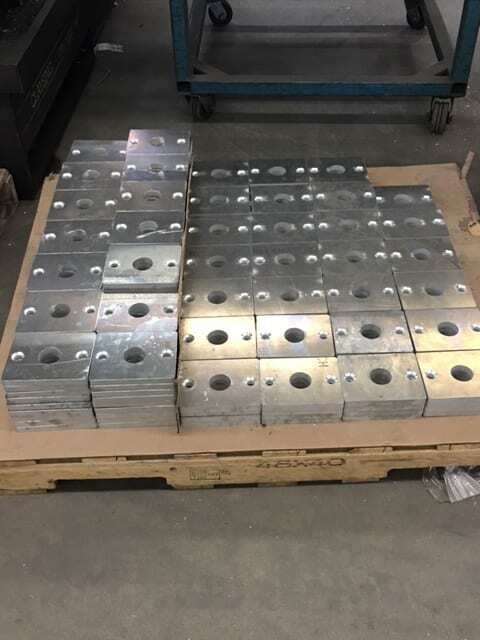 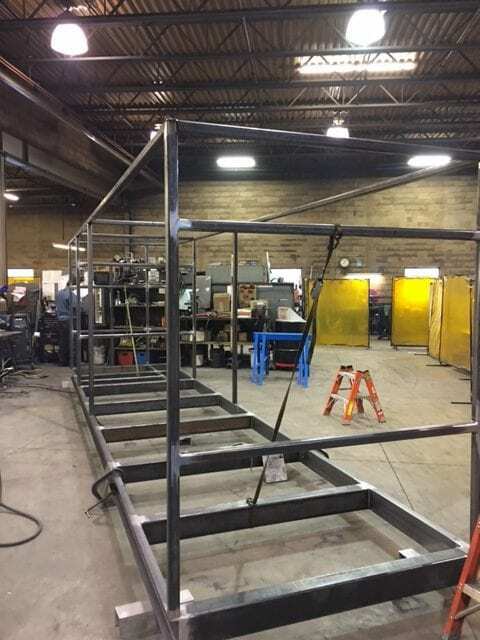 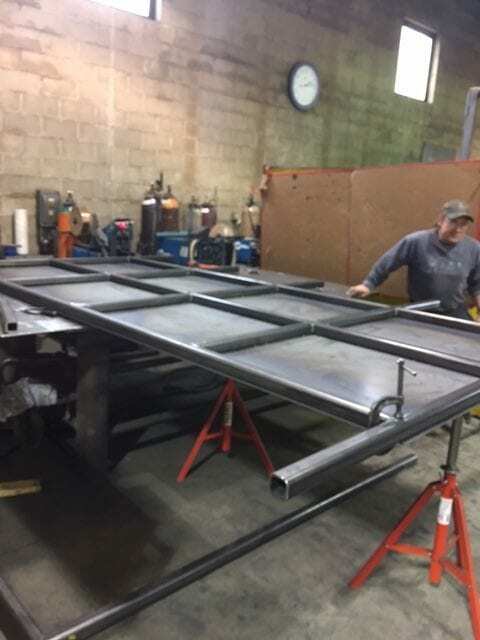 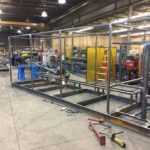 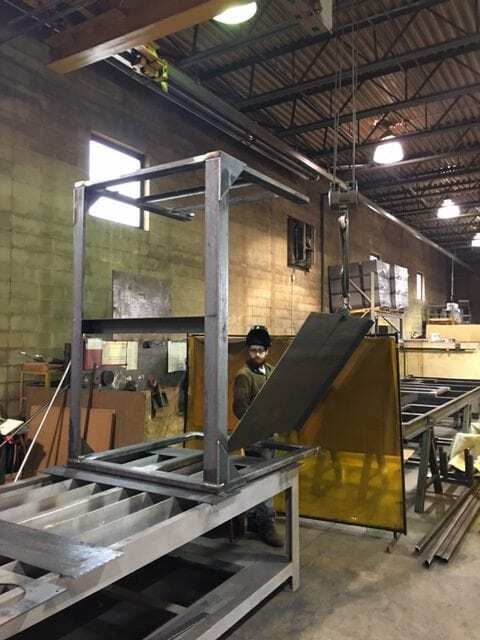 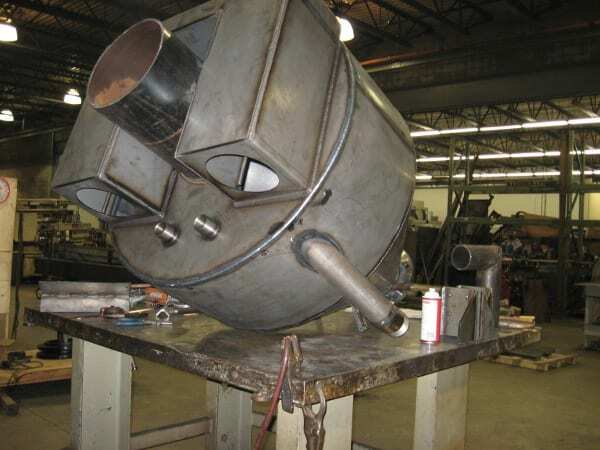 Our skilled associates have the ability to weld to a process and in a sequence that will best represent our customers specifications and provide the highest quality results. 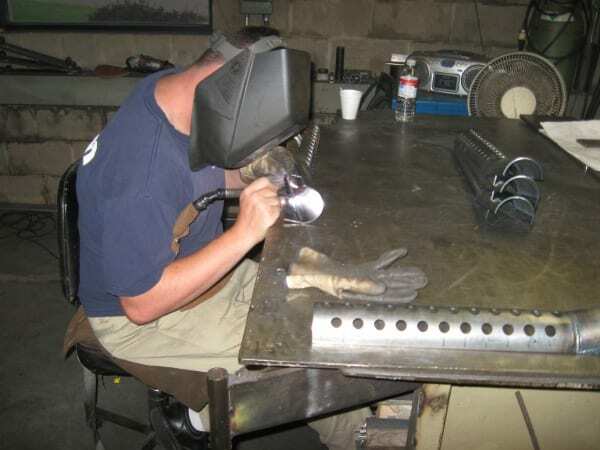 Code Welding & Mfg. 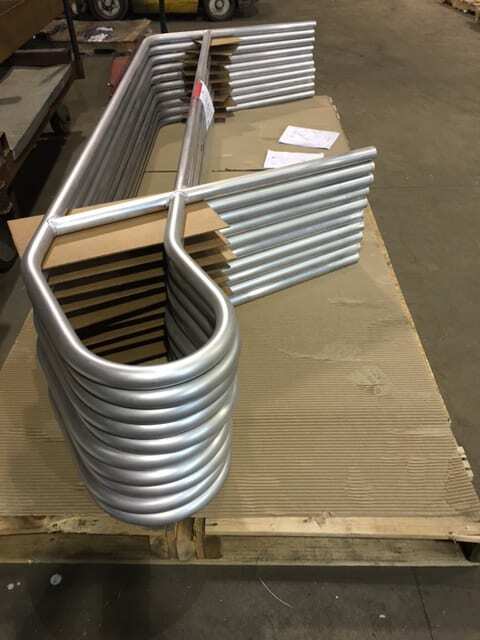 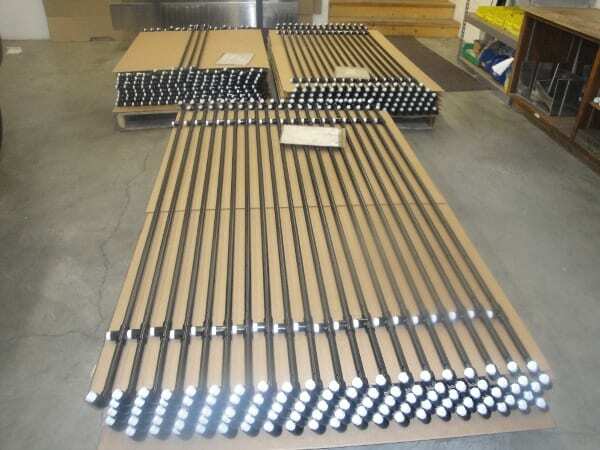 Inc. continues to strengthen because of the very diverse products we fabricate for our customers. 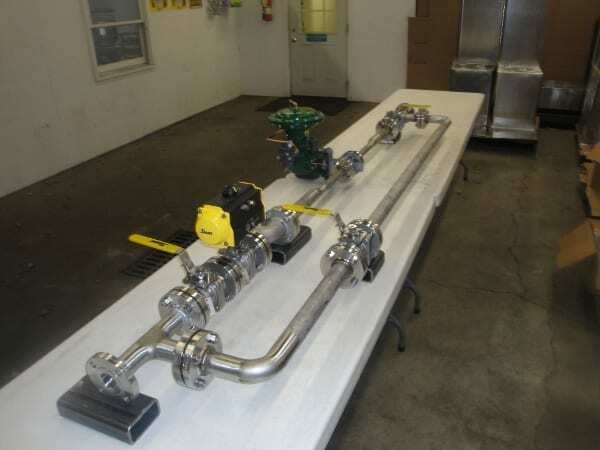 This variety prompts healthy change in our environment and promotes associate growth. 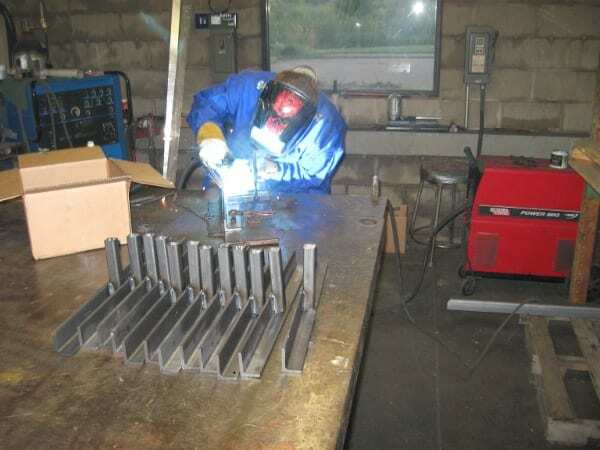 Whether in the large, small, simple or complex; Code Welding & Mfg. 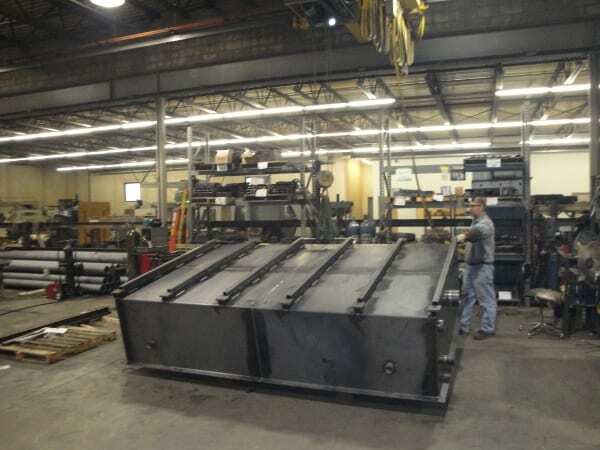 Inc. continues to succeed at fabricating products that meet and exceed our customer’s expectations. 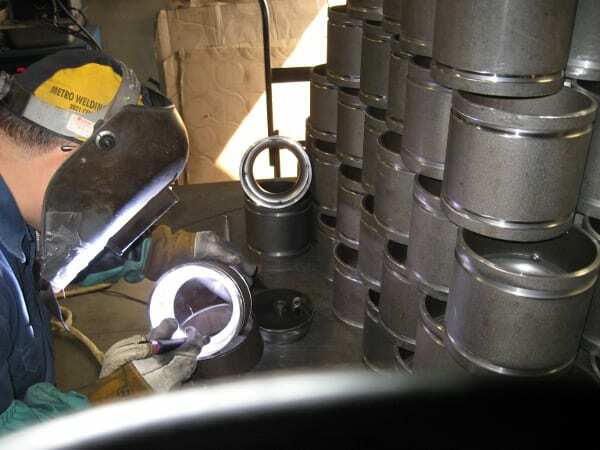 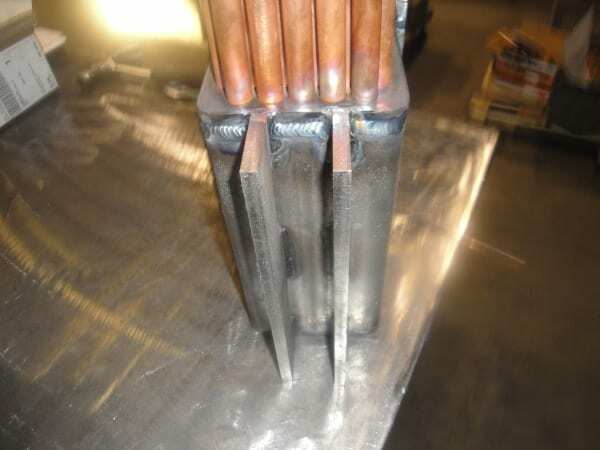 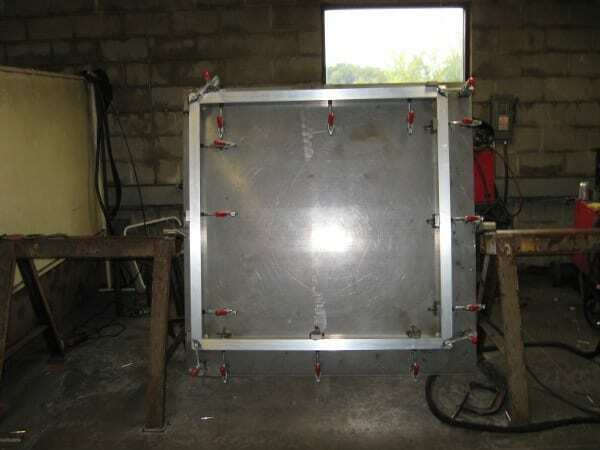 Code Welding also excels in aluminum welding where critical applications demand procedures and processes. 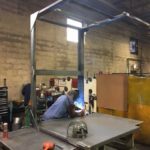 Through our ability to provide these core competencies in a controlled manner we deliver a high-quality end product for our customers. 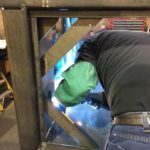 This noted ongoing project displays our abilities to roll, form, machine, weld and dye penetrate inspect and package at Code Welding & Mfg. 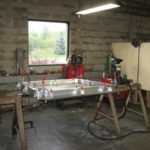 Inc.
Code Welding & Mfg. 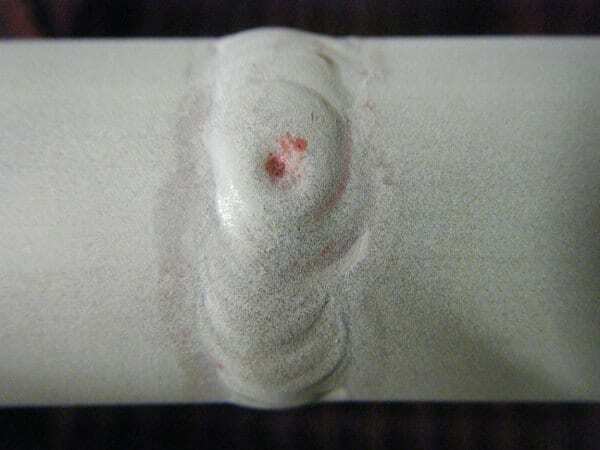 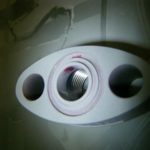 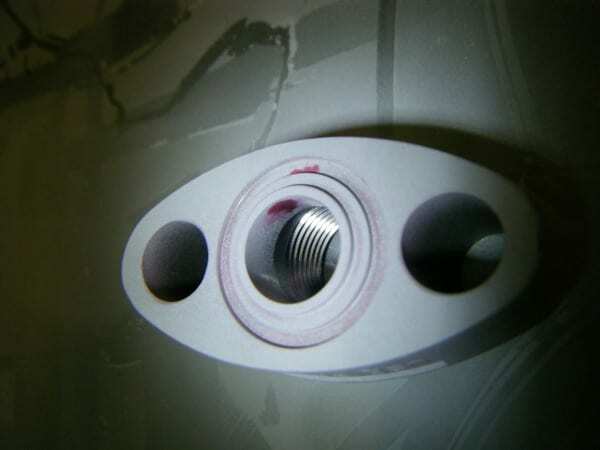 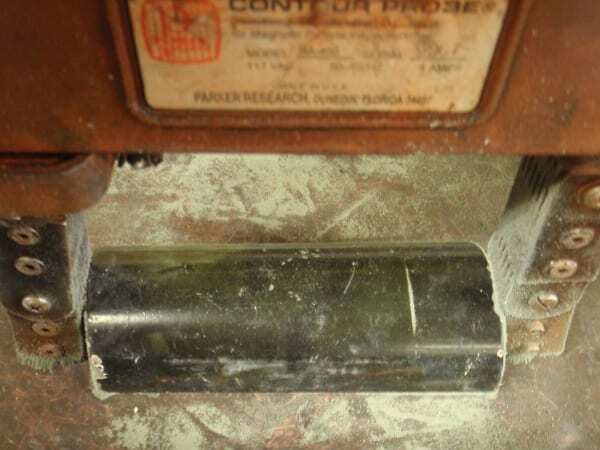 Inc. offers in house testing services of liquid penetrate & magnetic particle inspection. 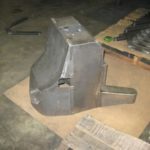 Examination is for our customer parts being processed. 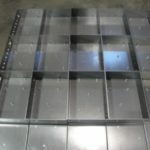 Code has an established NDE program that is both documented and are certified at level 2.